As of September 30, 2011 any home that is serviced by an oil fired heating system in Massachusetts must comply with a new law that requires home owners to upgrade their system equipment to prevent leaks. The new legislation is designed to prevent leaks from pipes and equipment that connect to your furnace. The law was originally set to become effective on July 1, 2010 but was extended. What is important to note is that most home owners policies do not currently include coverage for oil leaks leaving home owners to fend for themselves with costly clean up bills. 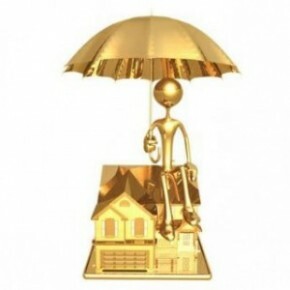 The new law makes it mandatory for insurance companies to offer coverage, however it is up to the individual home owner to purchase this optional insurance. Implementation of the insurance coverage will also start as of September 30, 2010. If your home was built after January 1 1990, you are more than likely already in compliance with the new law because state fire codes were changed to require these parts on new installations at that time. The insurance will provide “1st party coverage” of at least $50,000 to cover the expenses of cleaning up a leak to soils, indoor air, or other environmental media from a home heating system at the residence itself and also reimbursement for personal property damage. Secondly you must provide for “third party coverage” of at least $200,000 for dealing with any problems that occurred as a direct result of the leak for damage off of the property. This could be a near by home or the local ground water. The insurance coverage will also include costs for legal fees subject to a deductible not to exceed $1000 per claim. *** The key point to remember with the Massachusetts Oil Heating and Insurance law is that an upgrade is more than likely be necessary only if your home was built prior to 1990. A special thanks goes out to Rory Warren of Warren Home Inspections who made me aware that this new law would be going into effect. Rory mentioned there is some talk about asking home inspectors to police homeowners who are not compliant with the law at the time of a home inspection. What is more likely is that the oil company that services and delivers oil to the home will be responsible for making sure the home owner is compliant. About the author: The above Real Estate information on the Massachusetts oil heating and insurance law changes was provided by Bill Gassett, a Nationally recognized leader in his field. Bill can be reached via email at billgassett@remaxexec.com or by phone at 508-435-5356. Bill has helped people move in and out of many Metrowest towns for the last 24+ Years. Patel – Prior to 1990 these changes were not in effect. It is more likely that if your home was built before 1990 you may not be in compliance with the law. I do see the typo and have fixed it. If you home was built after 1990, not prior, then you would have to be in compliance with the new laws….. I need to have the oil lines removed due to replacing system with gas. What is the procedure for removing the lines? Do we need to cap the lines themselves or is it just enough to remove the line as is? Gilon it is my understanding that the lines can be capped but I would check with any oil local heating contractor to be certain. It is possible some towns could require you to completely remove the old oil lines. There have been situations where oil companies have delivered oil to homes thinking the fill line was still active and dumped hundreds of gallons of oil into a basement! John I would imagine the oil company would stand behind their work and would remedy if they did not do the job properly. I suppose you could ask the building inspector to look for you if you feel it was not done properly. Any idea how this will be implemented within the resale of a property? Assuming its not caught and corrected at the home inspection stage, will this be added to the fire departments smoke/co2 inspection? Mary if this violation is not caught at the home inspection then there is something seriously wrong with the inspector! The oil company that delivers the fuel is also supposed to monitor this as well.